This section publishes some of the games with which CodeDread has been involved. It primarily consists of web-based SVG and retro games originally published by Little Devils Incorporated. SVG FreeCell 2006-02-24 Requires Firefox 1.5+, Opera 9+, Safari 3+, Chrome 0.2+ or IE+ASV. SVG Solitaire 2006-01-18 Requires Firefox 1.5+, Opera 9+, Safari 3+, Chrome 0.2+ or IE+ASV. 2006-02-24. Another SVG demo game. It works in Mozilla Firefox 1.5+, Opera 9+ and Internet Explorer 6.0 + Adobe SVG Viewer 3.03. NOTE: Your browser must be able to support scriptable Scalable Vector Graphics (SVG). If you're using Internet Explorer, click here to install the Adobe SVG Viewer. 2006-01-18. Another SVG demo game. It works in Mozilla Firefox 1.5+, Opera 9+, Safari 3+ Chrome 0.2+ and Internet Explorer 6.0 + Adobe SVG Viewer 3.03. 2005-06-15. A proof-of-concept SVG game: StackVeryGood. Arrange dropping tile blocks into complete rows. Should look very familiar to most casual gamers. This game has been tested in Firefox 1.5+, Opera 9+, Safari 3+, Chrome 0.2+, and Internet Explorer 6.0 with Adobe SVG Viewer 3.03. Click here to play StackVeryGood! Discuss this game in our forums. This turn-based strategy game began as a board game cooked up by a few bored high-school students, was turned into a DOS game, then rewritten to use a better DOS graphics mode. Now it has been reworked again to use BOSS and SDL to work with modern Windows systems. Original game written by Jeff Sinasac for Little Devils Incorporated. Windows version ported and enhanced by Jeff Schiller. This game is Freeware and is in pre-Alpha stage. Please report any bugs to Jeff Schiller at CodeDread. Last Updated on 2017-12-09, Build 114. See recent history here. Older history and current bugs/ideas are captured here). This fun little retro, turn-based, tiled RPG was written by Jeff Sinasac for Little Devils Incorporated. The original platform was DOS and it relies heavily on Borland libraries (Borland Graphics Interface = BGI). Caverns of Xaskazien was ported over to Windows in 2004 using the BOSS library (which uses SDL). The porting was done by Jeff Schiller and the code was handed back over to Jeff Sinasac to continue work on it in his spare time. A full list of enhancements and bug fixes since the handover can be seen in the COX Manual from the new download here. NOTE: I am not maintaining this code anymore. Please contact Jeff Sinasac for any bugs/updates. Last Updated on 2017-12-5. Version 5.00. 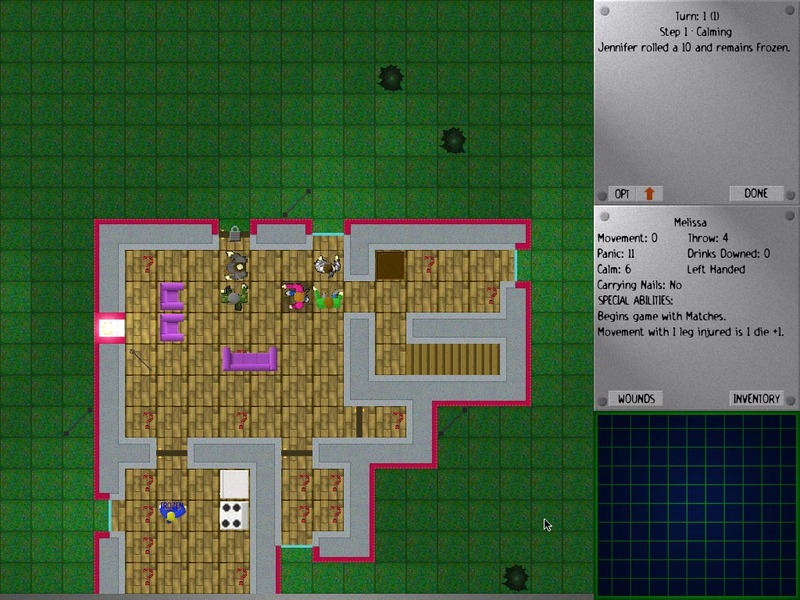 This is a new SDL-based game that Jeff Sinasac has begun working on. It is a turn-based strategy game. The Beta 2.10 download is now available for debugging and testing purposes. Please contact Jeff Sinasac for any bugs/questions or discuss in our forums. Click here for a recent history.